Luxury hotels Greece www.luxuryhotelsgreece.gr - is a Site offering valuable information on Luxury Hotels in Greece, on each region individually, luxury Spa Hotels and resorts, local luxury hotels, hotel units, leading tourist enterprises including top quality tour operators, yachting and cruising companies, as well as car rentals, shipping and air transportation companies. 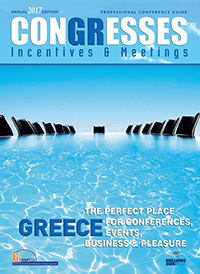 Conferences Greece www.conferencesgreece.gr - gives a clear picture of the facilities and capacity of conference, cultural and exhibition centers, able to cater for a wide range of events, the country’s leading hotels with first rate conference facilities and technical equipement and of course the leading firms specializing in the organization of conferences, incentives, audiovisual equipment, booth design and construction, catering, cruises and others. 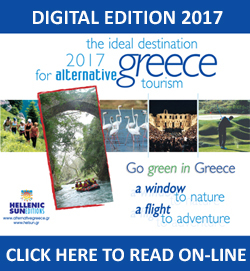 Alternative tourism Greece www.alternativegreece.gr - provides you with information for all the forms of alternative and thematic tourism that are developed in Greece, as well as with special informative editions through which each geographical region of Greece is projected separately showing off all these elements that characterize them, e.g. history, culture, natural environment, sights, infrastructure and possibilities for the attraction of alternative tourism forms, of adventure tourism and of new forms of tourism. 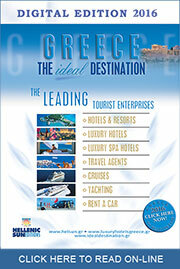 Ideal Destination www.idealdestination.gr - provides you with handy information about Greece and its extensive tourism potential. The site allows you to contact the best hotels and travel agencies, the best cruise yachting and car rental companies and all other tourism-related enterprises whose primary concern is to provide high-quality services and unparallel hospitality.